The Final race of the Sonora MTB Series starts at Pista Estero del Soldado, starting at 7:00am on Sunday, April 15, 2018. 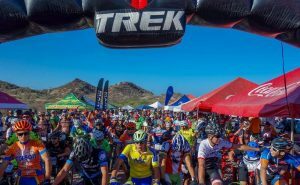 Proceeds benefit development and maintenance of local MTB trails in Guaymas and San Carlos Sonora, and promotion of cycling in both communities. The entry cost for the race is 250 pesos. Register online here. The first 200 registered competitors receive a T-shirt. 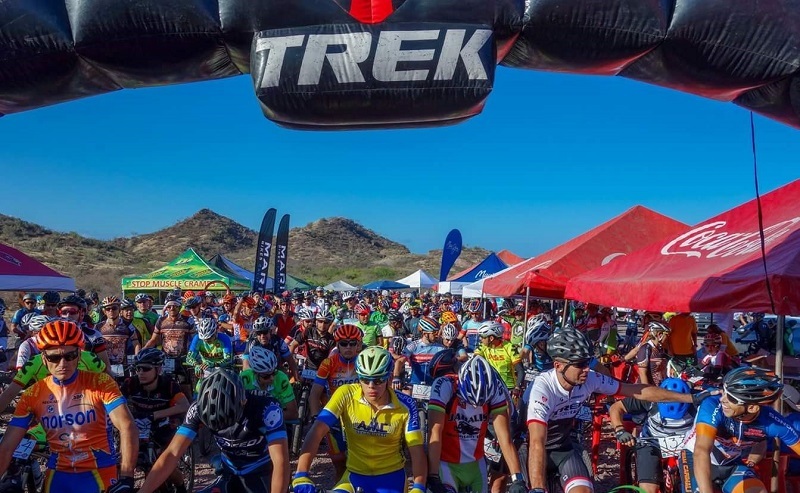 Pick up your race package at Hotel Armida on, Saturday, April 14 between 4 and 8pm. 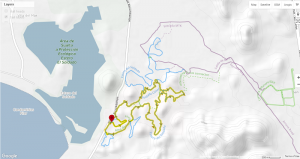 The start/finish and Bike and Outdoor Recreation Expo will be at KM 3 of the San Carlos-Delfinario Road. 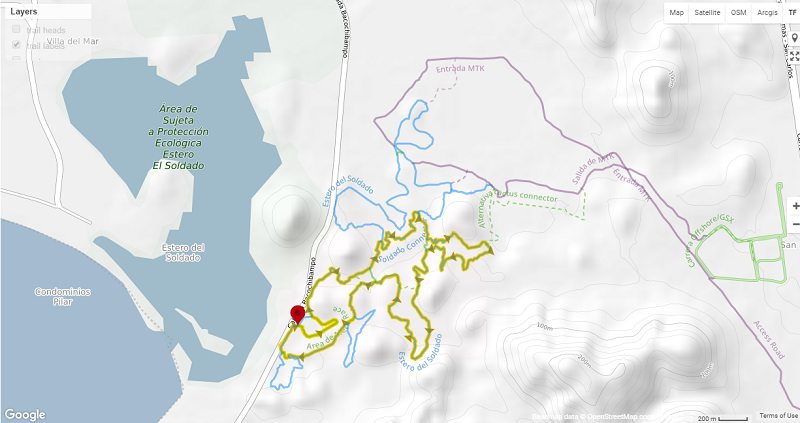 Food and drink will be available on site before, during and after the race. 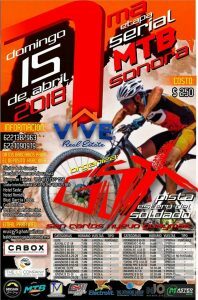 This is part of the Serial MTB Sonora, a 7 race series that is held at trails all over Sonora (Nogales, Caborca, Cananea, Hermosillo, San Carlos, Obregon, Navojoa) and is the State Championship of MTB racing. For more information, write baldomero@viveconsa.mx or call 622-138-7963.